Amtrak carries more than 12 million passengers a year in the corridor that accounts for nearly 40 percent of the railroad's traffic nationwide. It is spending about $700 million annually to maintain and upgrade the corridor but has long-term needs of more than $30 billion as it seeks to introduce next-generation higher speed service by 2040. 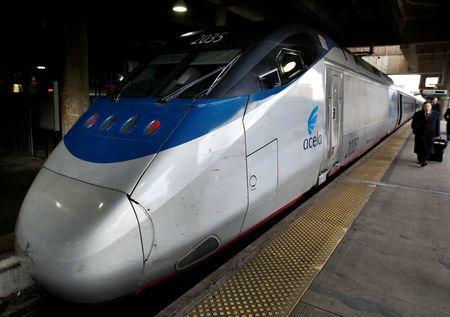 The final cost "depends on what version of the future you want to buy," said Stephen Gardner, Amtrak's executive president for planning, technology and public affairs. President Donald Trump met with New York Governor Andrew Cuomo in November to discuss the "Gateway" project, but no funding agreement was reached. Amtrak has not identified funding for other large projects. Amtrak has fended off efforts by Trump to cut its federal subsidies. Last year Amtrak faced questions in the wake of several fatal accidents. Amtrak vowed improvements after the National Transportation Safety Board in 2017 criticized what it termed Amtrak’s “weak safety culture."